Youth Fellowship has teams which engage in mercy work both in Malta and abroad. In Malta a number of teams and volunteers dedicate their time a number of initiatives. Abroad, the Living Waters Mission Team reaches out through various projects which aim at alleviating the suffering of the people in some villages of Ethiopia. Prayer is central to the missionary work because the team not only provides practical and tangible aid, but also seeks opportunities to share the gospel. 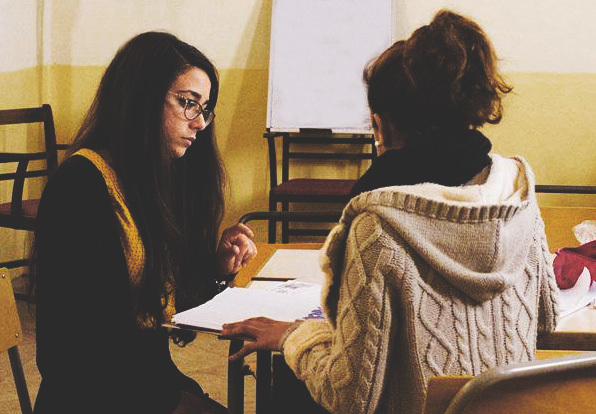 ‘Teen Klabb’ is an initiative in Valetta that integrates faith with learning. Local teens are provided with a safe and secure environment twice a week where team members help them with their homework, organise various activities that help them develop their personal skills and lead them to Jesus through prayer and various events. Now’ is a mission that provides Christian spiritual care to youths who are recovering from a life of substance abuse. It helps them reconnect to their Catholic values and faith, develop their prayer life and engage in fellowship during this recovery stage . The team holds regular aftercare sessions for those who are not in a rehab setting as well as those who are at a residential unit.